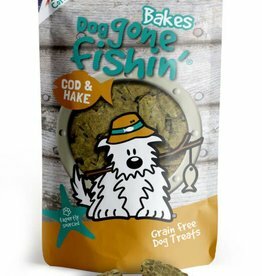 Dog gone fishin’ Bakes Cod & Hake Dog Treats 75g. 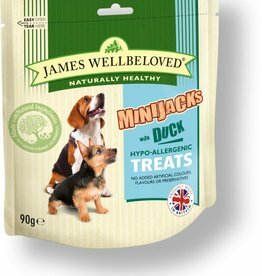 Healthy low calorie snack, reward or training treat dogs will love. 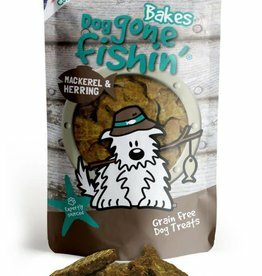 Dog gone fishin’ Bakes Mackerel & Herring Dog Treats 75g. 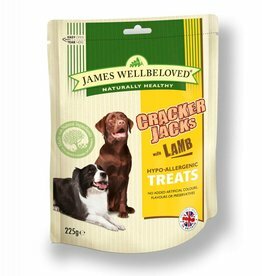 A delicious snack, reward or training treats for dogs. Packed with natural omega-rich fish oil. 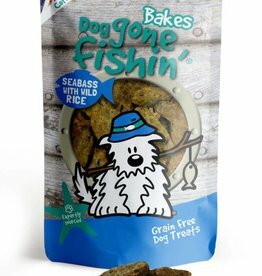 Dog gone fishin’ Bakes Seabass & Wild Rice Dog Treats 75g.. Healthy low calorie snack, reward or training treat dogs will love. Biscrok treats are delightfully crunchy dog biscuits that are baked to perfection for more of that crunch dogs love. 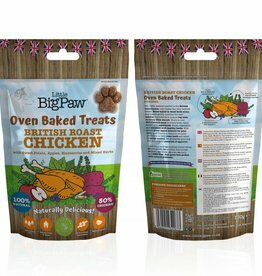 Little BigPaw Roast Chicken treats are bursting with meat, fruits, veggies, conditioners and healthy herbs. 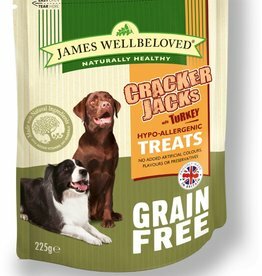 They are also 100% natural, grain free and hypoallergenic. 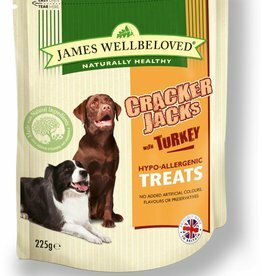 Crunchy Bites are hypoallergenic and free from wheat gluten, dairy products, beef and soya. 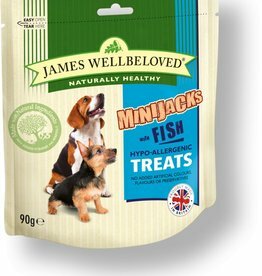 Contains no artificial colourings, flavourings and preservatives. 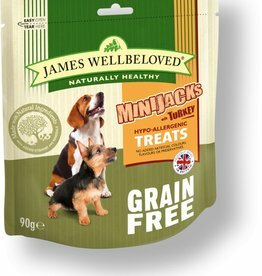 Grain Free crunchy Bites Treats are a really tasty treat that dogs can eat between meals without ruining their appetites. Tasty, hypoallergenic dog treats Made without beef, wheat, gluten and dairy products as those are the ingredients which cause most food allergies in dogs. 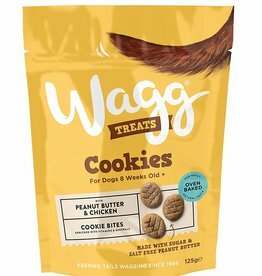 Wagg Cookies with Peanut Butter and Banana are a delicious treat for your dog, enriched with extra vitamins and minerals. Little BigPaw Free Run Oven Baked Turkey treats are bursting with meat, fruits, veggies, conditioners and healthy herbs. They are also 100% natural, grain free and hypoallergenic. 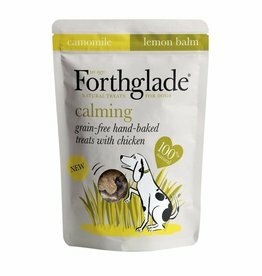 Hand baked heart-shaped treats contain a mix of natural botanicals widely known for their calming properties, including Chamomile & lemon balm.